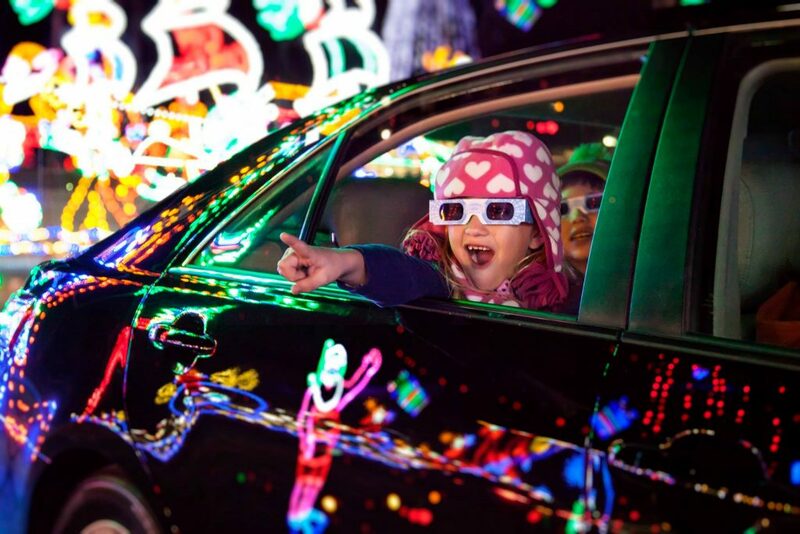 Every year, Shadrack’s spreads Christmas cheer in Butler County by hosting a spectacular drive-through light attraction at Big Butler Fairgrounds. For the second year, Dollar Energy Fund is proud to be the presenting sponsor and benefiting charity of Shadrack’s Christmas Wonderland. The attraction will be open every evening from November 16, 2018 through January 6, 2019. The light show features three miles of custom made displays synced to holiday music. See the all new SANTA’S SAFARI theme of displays where Santa and pals are on vacation featuring custom built, giant, all-LED displays! Visit the new and improved Santa’s Village (free with light show admission) and enjoy souvenirs, rides and refreshments! Tickets are $25 per car and available for purchase on-site. Shadrack’s accepts cash and credit cards. New this year, Dollar Energy Fund is partnering with Chick-fil-A to distribute coupons at participating locations in the area. Coupons are good for $2 off admission Sunday through Thursday. Visit a participating Chick-fil-A location or download the digital coupon below. For every coupon redeemed, $1.00 will go to Dollar Energy Fund. Bring your family, join the fun and support our mission of helping limited-income families stay warm this winter. 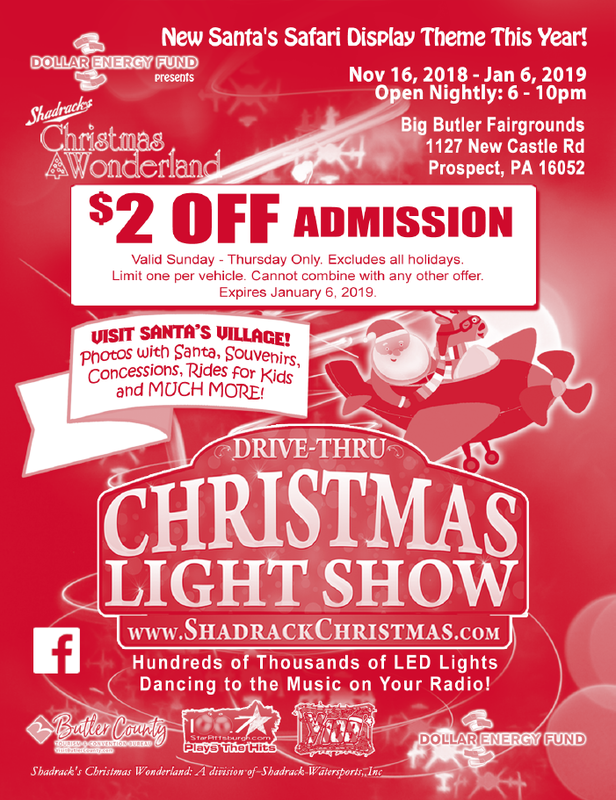 For more information on Shadrack’s Christmas Wonderland, visit shadrackchristmas.com/pittsburgh-pa. Throughout the season, Dollar Energy Fund will be giving away free car passes on our Facebook page. Like our page for your chance to participate!